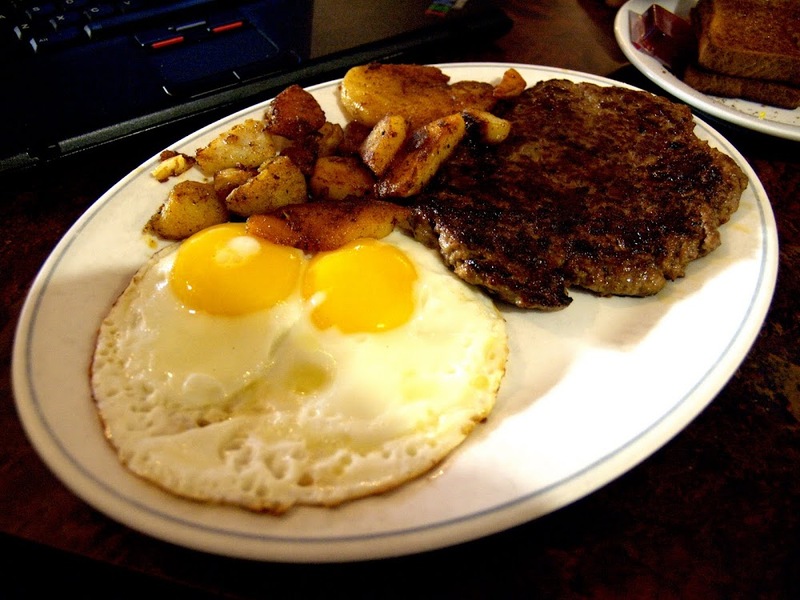 After golfing with Jim and Chris, I went Chris' Detroit for breakfast and I liked to have Hamburger Steak with two sunny side ups & brown bread together with fresh coffee just as usual. Restaurant Detroit is one of the oldest & most famous restaurant in the Greek street of Danforth. In here I taste the hamburger steak exactly same with the one I used to have in my childhood... It's a nostalgia of those good & happy old days in which I enjoy much to reflect. Brandenburg No.3 is always good for a good breakfast I bet.. not only for luxury dinning with service of elegance but with even street food whichever good & fresh..
지미와 크리스와의 이른 아침 골프를 끝내고 크리스가 운영하는 디트로이트 식당에 아침을 먹으러 갔다. 디트로이트에서의 아침 식사로 항상 시키는 햄버거 스테이크와 노른자가 터지지 않은 달걀 후라이 두개, 갈색빵 두 조각..을 신선한 커피와 함께 먹었다. 이곳에서의 햄버거 스테이크는 어릴적 가끔 먹었던 햄버거 스테이크 맛에 대한 향수가 서려 있다. 그저 행복하기만 했던 어린 시절 맛에 대한 향수가 있어 음식을 먹으면서도 더 즐거울 수가 있다. 바흐의 브란덴브르그 3번은 좋은 아침 식사때 확실히 잘 어울린다.